Watching the FIFA World Cup in Kuching is always better with a crowd especially since Kuching is known for it’s amazing people who are also ardent football fans. 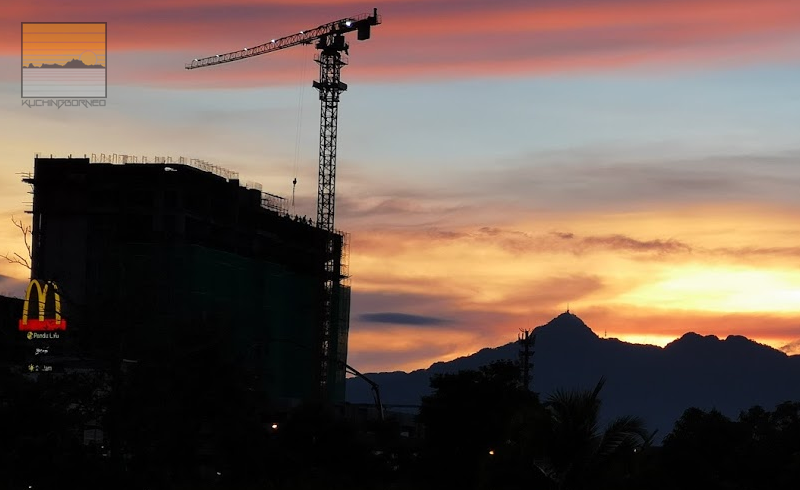 There’s plenty of places to enjoy the ‘cup of life’ in Kuching, but if you aren’t exactly familiar with Kuching, these places may seem ‘hidden’. Well, I’ve bothered to list down the top places you can watch the FIFA World Cup in Kuching here for your convenience. The places I’ve listed here are popular locations, or special in my opinion, as a local Kuching person. You need not have to agree, but I’ve also geo-tagged each location so just tap on the links to learn it’s location. Kuching isn’t exactly famous for it’s Mamak stall like in West Malaysia. However, there’s plenty of 24-hour eateries around the city that open and show the FIFA World Cup in Kuching. These eateries offer a huge range of cheap eats. There’s a good mix of LED TVs and big screens at these food courts which allow simultaneous games at one time. The downside? You might smell a bit after a game because there’s also barbecue stalls, fried noodles and so on prepared nearby. As I understand, the crowd these days gather at Siang-Siang in 3rd Mile Kuching, Premier Food Republic in Stutong and Premier 101. McD’s signature logo is visible regardless of where it is located in Kuching. 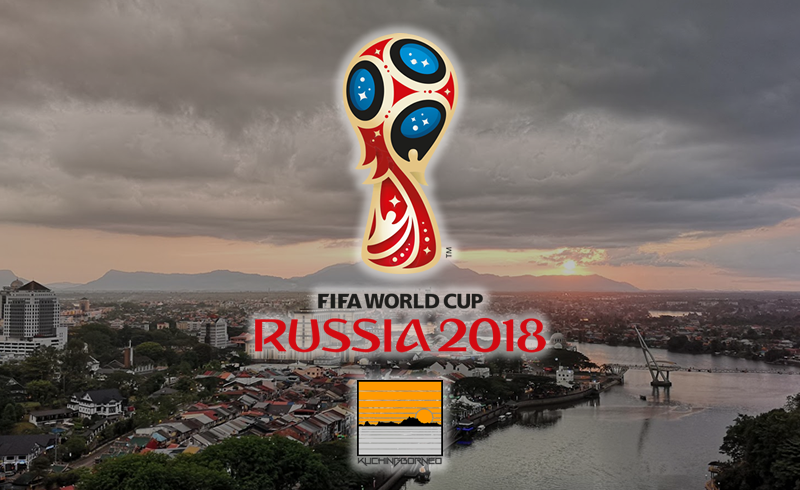 As the official sponsor of the World Cup 2018, McDonald’s has been screening the games at their outlets. Since McD’s huge golden M is easily spotted in Kuching, I don’t have to share the spots of the restaurants. However, if you want to watch the matches while fulfilling the cravings for a double cheese burger and happy meals. You know where to go! Catching the FIFA World Cup in Kuching is a better experience at local ‘sports’ like restaurants. Unlike 24-hour food courts, restaurants offer better dining experience. It also means you don’t have to worry about smelling like barbecue chicken after the game. Bigger sized LED TVs and big screens are quite prominent at restaurants. The only downside is that it does cost more. Porkies, at Jalan Song, is traditional key favorite. Bars, pubs and lounges are upper class places to watch the FIFA World Cup in Kuching. They are cleaner and of course more expensive. 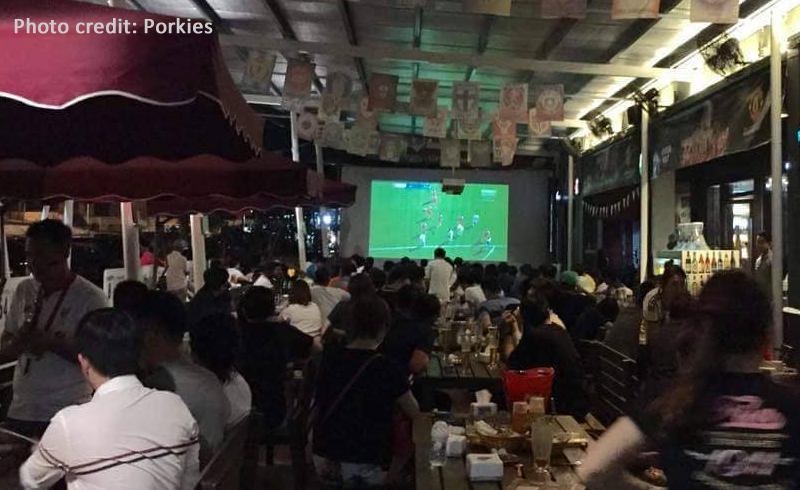 The World Cup atmosphere however is most felt at bars and pubs in Kuching. These places tend to go all out for the FIFA World Cup including asking their waitresses to wear football jerseys. They also come with exclusive perks such as lucky draws during the whole World Cup screening. 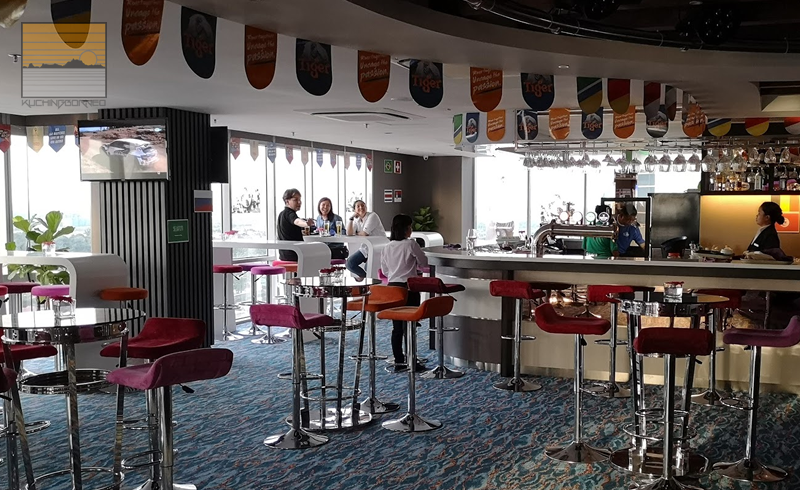 One place that stands out for me is the RMH Astana Wing Sky Lounge as it has the best aerial view of Kuching, with 6 LED TVs, including a variety of draught beer and wine. Of course I can’t mention every public place to watch the FIFA World Cup in Kuching specifically. 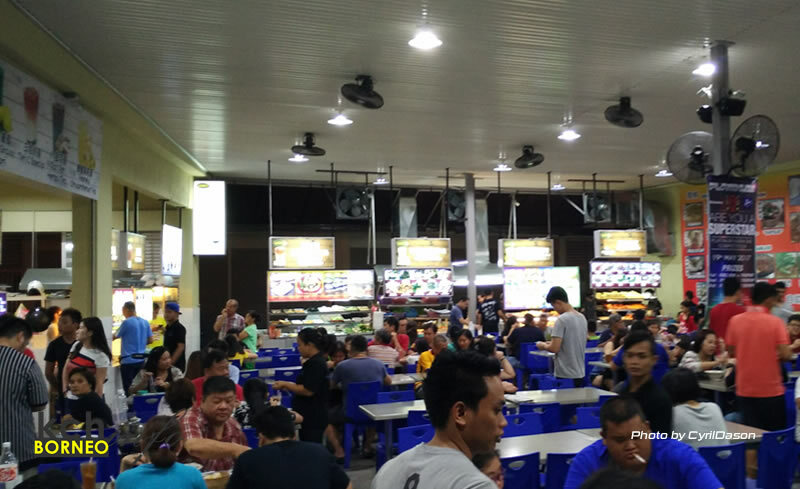 There’s plenty of 24-hour food courts in Kuching alone, let alone restaurants and pubs eager to capitalize on the World Cup. As I mentioned before, those I listed are my top choices based on feedback I gained. If you think there’s more that’s worth to mention, hit the comment section! I may just include it the place you mentioned.